The IFRS Taxonomy Consultative Group (ITCG) is a consultative group established to assist the International Accounting Standards Board (IASB) in its activities related to the IFRS Taxonomy used when tagging financial information using XBRL (eXtensible Business Reporting Language). The ITCG was formed in April 2014 and replaced two advisory groups, the XBRL Advisory Council (XAC) and the XBRL Quality Review Team (XQRT). 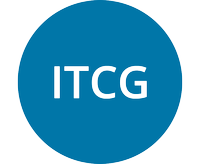 The ITCG acts as an advisory and review forum, which involves in-depth reviews of the IFRS Taxonomy, technical advice and strategic implementation guidance, and guidance to IASB staff on financial reporting ontology (a structural framework for organising financial reporting elements and relationships). The ITCG focuses on providing technical advice on the optimal technical architecture, appropriate documentation and supporting materials to facilitate and support the adoption of International Financial Reporting Standards and the IFRS Taxonomy. Under its terms of reference, the ITCG is comprised of 16 to 20 members, including a Chair and Vice Chair, from broad geographic and functional backgrounds. Members are generally appointed for a three year period, and are expected to be able to make a positive contribution to the group's activities by having expertise, skills or practical knowledge in areas related to the XBRL, including technical expertise, taxonomy content domain expertise and taxonomy interest groups. Current members of the group can be found on the IASB's website. The ITCG usually meets in 'face-to-face meetings' twice a year in London, and also holds four one-hour telephone discussions per year. Meetings are open to the public and are webcast, with the exception of administrative sessions. The agenda is available for the next meeting of the IFRS Taxonomy Consultative Group (ITCG), which will be held by conference call on 31 January 2019. The IASB has published the summary to the IFRS Taxonomy Consultative Group (ITCG) meeting held via conference call on 11 October 2018. The IASB is seeking candidates for membership to its IFRS Taxonomy Consultative Group. The group provides an advisory and review forum for members to actively assist the IASB in the maintenance and development of the IFRS Taxonomy and related activities. The IASB's IFRS Taxonomy Consultative Group (ITCG) is seeking new members from 1 April 2019. The agenda is available for the next meeting of the IFRS Taxonomy Consultative Group (ITCG), which will be held by conference call on 6 September 2018. The IASB has published the summary to the IFRS Taxonomy Consultative Group (ITCG) meeting held via conference call on 11 July 2018. The IASB has published the summary to the IFRS Taxonomy Consultative Group (ITCG) meeting held on 11 June 2018. The IASB has published the summary to the IFRS Taxonomy Consultative Group (ITCG) meeting held on 19 April 2018. The agenda is available for the next meeting of the IFRS Taxonomy Consultative Group (ITCG), which will be held on 19 April 2018. The agenda is available for the next meeting of the IFRS Taxonomy Consultative Group (ITCG), which will be held by conference call on 30 November 2017. The IASB has published the summary to the IFRS Taxonomy Consultative Group (ITCG) meeting held on 11 October 2017. The IASB has published notes to the IFRS Taxonomy Consultative Group (ITCG) meeting held on 12 June 2017. The agenda is available for the next meeting of the IFRS Taxonomy Consultative Group (ITCG), which will be held in London on 12 June 2017. The IASB's IFRS Taxonomy Consultative Group (ITCG) is seeking to fill two open positions. The IASB has published notes to the IFRS Taxonomy Consultative Group (ITCG) conference call held on 15 February 2017. The IASB has published notes to the IFRS Taxonomy Consultative Group (ITCG) meeting held on 25 October 2016. The IASB has published notes to the IFRS Taxonomy Consultative Group (ITCG) conference call held on 14 September 2016. The agenda is available for the next meeting of the IFRS Taxonomy Consultative Group (ITCG), which will be held in London on 25 October 2016. The IFRS Taxonomy contains some content that reflects new common practice regarding disclosures entities commonly provide in practice when applying IFRSs. These disclosures are not explicitly referred to in the standards or the accompanying materials. The IASB has published notes to the IFRS Taxonomy Consultative Group (ITCG) conference call held on 28 July 2016. The IASB has published notes to the IFRS Taxonomy Consultative Group (ITCG) meeting held on 7 June 2016. The agenda is available for the next meeting of the IFRS Taxonomy Consultative Group (ITCG), which will be held in London on 7 June 2016. The IASB has published notes from the IFRS Taxonomy Consultative Group (ITCG) conference call held on 9 December 2015.